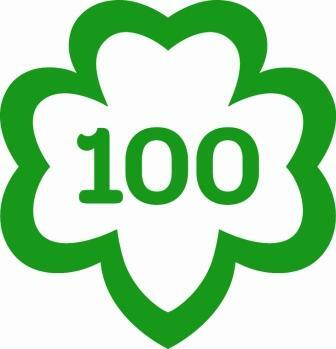 The Patriot News in Pennsylvania reports that "Girl Scouts approaches 100-year mark with renewed mission of empowering future women". The article states that Girl Scouting is the alternative to shallow notions about being female. Arm yourself with skills, a Girl Scout is taught, and doors open. “You get to feel accomplished,” said Mackenzie Miller, a 12-year-old Girl Scout Cadette in East Pennsboro Township. Jane Ransom is president and CEO of Girls Scouts in the Heart of Pennsylvania. She said girls need that feeling now more than ever. “Every time they turn on their computer or TV, [they see] that narrow slate of options that suggest to them that there is one way to look and one way to act. “Women are tearing each other down. They’re at each other’s throats. They’re scheming against each other. That’s all out there, and Girl Scouts is an antidote to that, a kind of inoculation against that,” Ransom said. Girl Scouts’ core mission hasn’t changed. Its second-century goal still will be to steer girls down the path to self-reliance. “In a very fundamental sense, Girl Scouting is still relevant because the need for Girl Scouts is still relevant. The social and economic terrain that girls are walking compared to 100 years ago is quite different. But the need is the same because girls are still walking on a tricky terrain,” Ransom said.